Our solutions and strategies can help you streamline your processes, optimize your cash reserves and automate everyday tasks. From your day to day business needs and beyond, TIAA Bank has the treasury services to help you move your company forward. Whether it’s transaction reporting, payment origination, or fraud detection, our specialists are ready to put it all together for you. 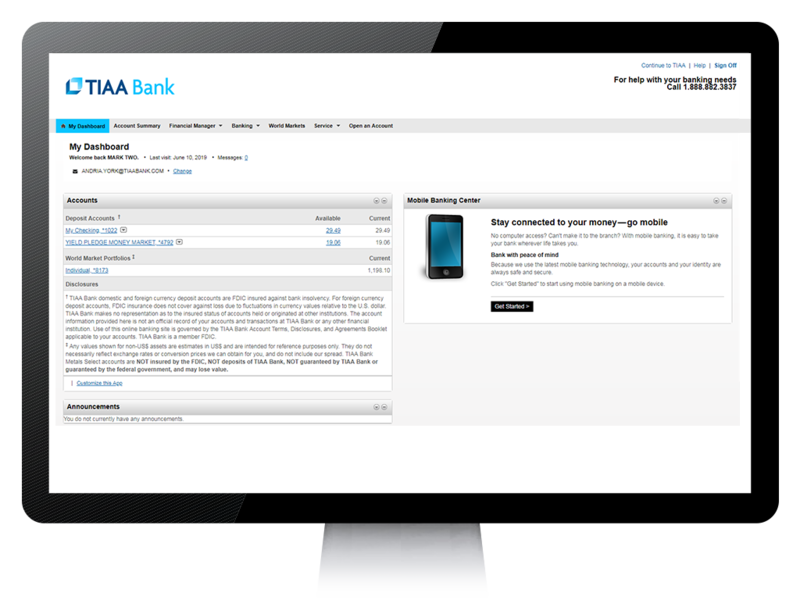 Our value-add checking accounts are built to support your business banking needs. A great way to save and grow your funds, whether you’re planning an upcoming purchase or building reserves for unexpected expenses. Experience full service, 24/7 access to your business banking needs through our Business Online Banking platform and mobile app. You’ve worked hard to build your business, so naturally you want to protect your funds and profits. That’s why with every account at TIAA Bank, we deliver stringent security measures to help reduce fraud risk and prevent unauthorized transactions. Get started online or let our dedicated professionals assist you with the process. Use our online application to open your account today. Have a member of our Business Banking Center contact you directly. Whether you’re a current client or just now finding us, you can count on receiving the dedicated level of service your business deserves. A business banking specialist will be in touch soon. Your new home loan answer is just around the corner. And our mortgage experts are standing by to show you a better path to your home loan goals. We received your request and will be in touch shortly.